Barite in Paint Industry In dope and painting, it can be used as filling and can take the place of some expensive material such as basofor, crypton, titanium dioxide, activity, monox etc to Control the viscosity of the paint compatibly to make the products with bright color and good stability. Package : In 50 Kg plastic woven bag, 1000KG jumbo ton bags or Packing in Bulk. Other Applications of Barite : Barite in crushed from is directly used as a coating in rubber production and dye fluidizing. In addition, if the size of crushed barite grains is as large as sand, it can be used in the glass industry. In this case, barite is used as a melting aid to work on glass and creating transparency. Crushed barite is used as cement covering of underwater pipes in the transportation of oil and gas. The reason for the use of barite in this case is its heaviness and neutrality. Application of barite in ceramic : In glass making industry, it is used as a melting material reducing bubble and it is used in product luminosity and transparency. Barium-containing glasses are more transparent and brighter than lead glass. Advanced ceramics containing barium are used in the electronics industry (condenser, earphone, speakerphone, telephone, and permanent magnet. Application of barite in fillers : Barite is used in paint, plastic, paper and rubber industries as filler material. Due to its high specific gravity and radioactive absorption property, it is also used in the production of cement blocks. A mixture of rubber, asphalt and 10% barite is used in the construction of stations and runways of the airport. 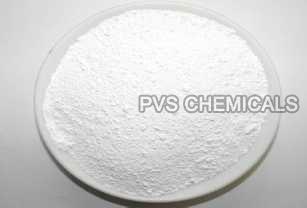 It is also used in pharmaceutical industries, alloy, and radiation protection and so on. Medical Industry : An application where many people have heard of barite is within the medical field. A high-purity form of barite is used in the gastrointestinal tract where its density prevents x-ray penetration, and thus is visible on an x-ray. The outline of the gastrointestinal tract thus becomes visible allowing the determination of normal and abnormal anatomy.